Injection molded nylon & delrin. 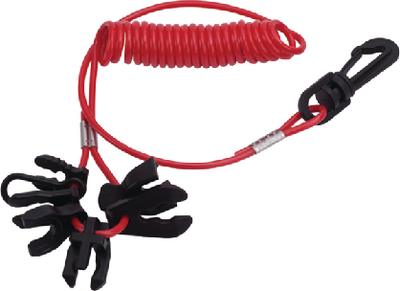 7 Key Lanyard fits Johnson, Evinrude, Mercury, Yamaha, Honda, Tohatsu, Suzuki and Nissan kill switches. Length 50"